Home » Tech Tips » Mac » How to Enable Two Factor Authentication for Apple ID? Security is the most important factor when you use personal information on a computer. In earlier days, the practice was to enter the username/password and verify the details with an additional security question. This still have a problem of stolen password and security questions stored in database. Nowadays, instead of security question you need to verify the access with additional passcode generated and sent to one of your other device dynamically. In 2017, Apple followed Google’s footstep by adding an extra layer of security to protect your Apple ID as well as your iCloud data. It started with the iOS 10.3 beta version and had ultimately remained a part of the iOS and macOS updates since then. 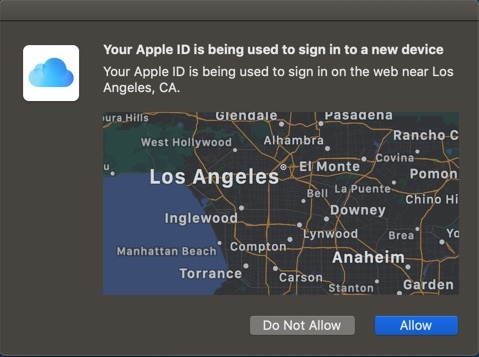 Whenever you login with your Apple ID from an unknown device, Apple will send a verification code with the location map to your trusted devices. 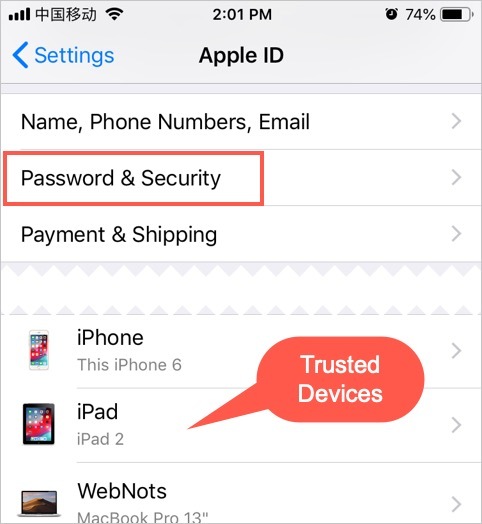 The trusted devices could be your iPhone, iPad or Mac which you have confirmed beforehand. You can check the map location and allow or block the login attempt. Alternatively you can also manually get verification code from the trusted device to use on new device. This is an additional layer of security that helps to protect your account even though someone knows your password. Remember that when you confirm the login with verification passcode on a new device, you are essentially adding the new device as your trusted device. So, only trust the device if it is your own. When you have multiple trusted devices for your account, Apple will send different passcode to all your trusted devices. You can enter any of the passcode and confirm the login attempt. Why You Need Two Factor Authentication? Besides security, you need two-factor authentication for many continuity features to work. For example, when you want to use continuity camera feature between your iPhone and Mac then you should have enabled two-factor authentication for your Apple ID. Apple enabled two-factor authentication by default when you create a new Apple ID. And you will have no option to disable this feature. For old Apple IDs, you can enable it from your Mac or iPhone. If you have security question on your old Apple account, Apple will hold the question/answer for two weeks time after you enable two-factor authentication. After that the security question will be deleted and also you will not be able to disable two-factor authentication on your device. So, it’s pretty clear that two-factor authentication is a new security concept mandatory and not optional for users. Also as an additional feature, you can reset or change the password of your Apple ID from the trusted devices. How to Enable Two Factor Authentication? As explained above, all new Apple IDs default come with two-factor authentication enabled. Whenever you trust the login on other devices, they will be automatically added to your trusted list. The essential question to ask is this; how difficult is it to enable the two-factor authentication using phone number? Lucky for you, it’s not nearly as complicated as you imagined. How to Setup Two Factor Authentication On Mac? 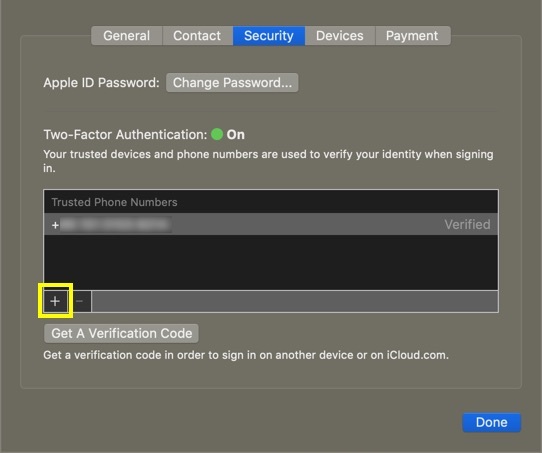 Outlined below are the steps to take when setting up two-factor authentication on macOS. 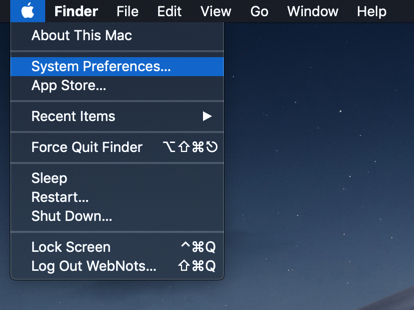 To set up two-factor authentication on your MacBook, the first thing to do is to click on the Apple menu and select the System Preferences option. Next click on the iCloud icon in the third row. 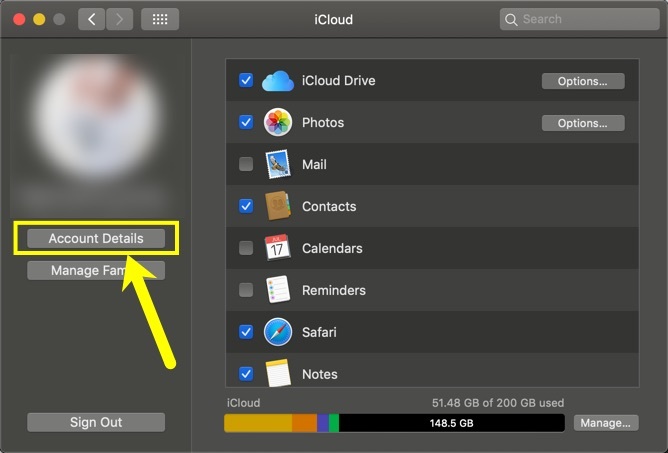 The iCloud icon will show you a complete overview of your account. This includes the available cloud storage space, including the apps that occupy space on your iCloud account. But at the right side of the iCloud page, you’ll find the “Account Details” option under your profile picture; click on it. A multi-tab window pops up which include the following – General, Contact, Security, Devices, and Payment. Click on the “Security” tab to access your Apple ID password, including the two-factor authentication. At this point, you need to input a valid phone number as well as a mode of verification. Click on the + icon and add your phone number by choosing the correct country code. You may need to validate your changes by entering Apple account and administrator password for your Mac. You have two options for verifying your phone number. 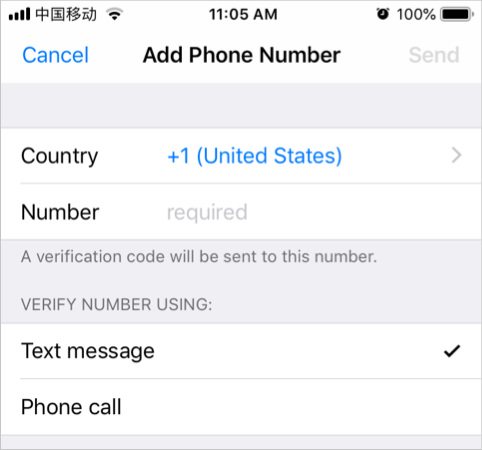 If you select the text message option, the system will send a six-digit verification code to your phone. Alternatively you can choose “Phone call” to receive an automated call from Apple for verification. After entering phone number and choosing a verification type as text message click on the “Continue” button. You will get a six-digit verification code on your Mac as well as in the phone number you have provided. Type the six digit code into the new popup window on your MacBook and click “Continue.” This is will successfully very your phone and enable two-factor authentication on your Mac. That’s all you need to do to set up the two-factor authentication on your MacBook. 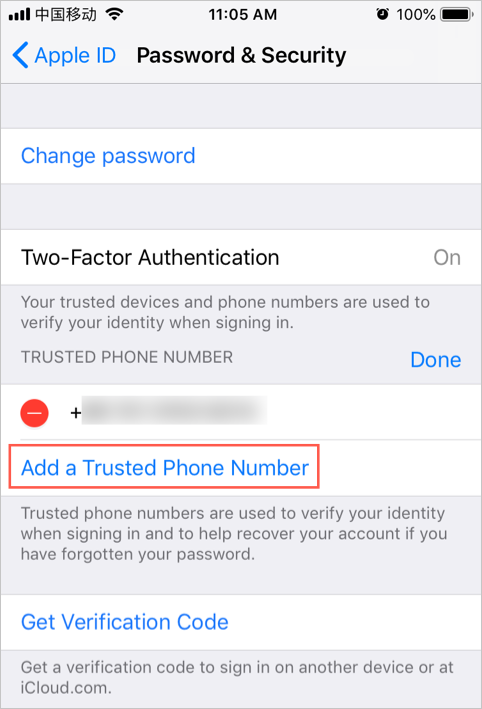 How to Setup Two Factor Authentication on iPhone? Here is the thing; your ability to set up this extra layer of security is not limited to your computer only. With an Apple iPhone, we can repeat the whole process. The steps are just slightly different. Follow the below instructions to set up two-factor authentication for iCloud using your iPhone. 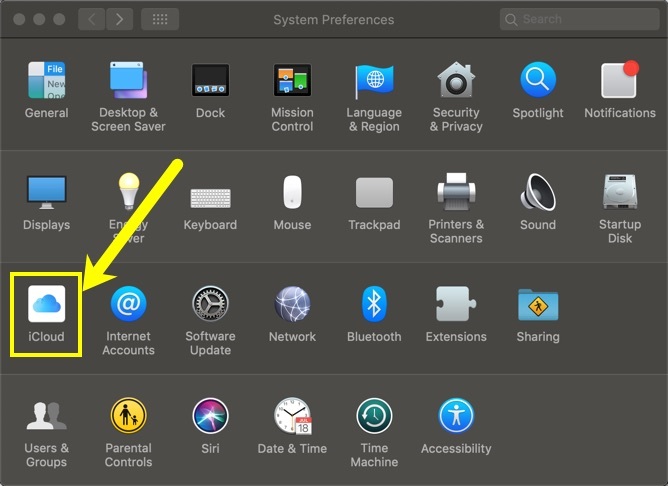 First, tap the Settings icon on your app tray and touch your Apple account name. However, if you are using iOS 10.2, there is no name to tap. Instead, you must scroll down a little to hit the iCloud option, then tap your Apple ID. Now select the “Password & Security” option. You may be required to enter your Apple ID and password. Turn on two-factor authentication on your iPhone. Remember, if it is already enabled, you can’t disable it. In this case tap on “Edit” link and then tap on “Add a Trusted Phone Number” option. You can choose to get text message or phone call to you number for verification. Choose “Text Message” and tap “Send” to get a verification code. Enter the code and confirm enabling two-factor authentication for your account. You can view all trusted phone numbers and devices under “Security” and “Devices” tab of your iCloud settings on Mac. Mac will send the two-factor authentication code to all these trusted devices whenever you login from a new device. 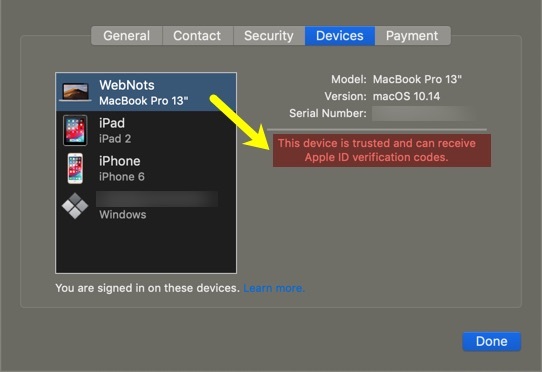 You can remove the trusted devices by logging into your Apple account page. Similarly, the iCloud settings on your iPhone will also show the trusted devices and phone numbers. You can see the devices after tapping on your account name and the phone numbers under “Password & Security” section. You can remove the number or device right from the iPhone without logging to Apple account webpage. When you add a number, it will be added to your account and shown on all your trusted devices. That’s all you have to do to add the much-needed extra layer of security to your iCloud contents. Be that as it may, this feature is not available for all versions of iOS or Mac. Your device must be running with the following requirements to be able to use two-factor authentication. iOS 9+ on iPhone, iPad and iPod touch. El Capitan or later on Mac with iTunes 12.3 or later. watchOS 2 or later on Apple Watch. 4th generation tvOS on Apple TV. iCloud for Windows 5 and iTunes 12.3.3 or later on Windows computer.